LinkMeUp values feedback from people using and working with our services; share your experiences and suggestions with us to inform our ongoing development. Whether you have a compliment or complaint, or simply want to comment about our services, please complete the form below. We endeavour to respond within 3 working days. All personal data/special category data herein are processed in accordance with UK data protection legislation. All feasible security measures are in place. 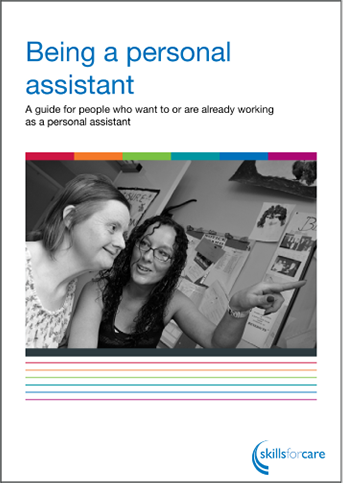 Download the Skills for Care publication, "Being a Personal Assistant"
LinkMeUp supports PAs by being a stage to promote your personal assistance services; we enable long term matches and employment opportunities based upon common interests, as well as skills and experience. When you register with us, your profile will be viewed by many potential employers in your local area, you will also have access to our job board listing vacancies. Joining LinkMeUp as a PA is free and simple, just complete the online application form and we will contact you to arrange a short registration interview (including DBS and right to work checks). LinkMeUp supports PA development with access to information, resources and training .We also facilitate peer support through events and online forums. We are always on the lookout for people to become PAs; there are no formal qualifications required and work experience is not essential – it’s about having the right attitude. We want people who are friendly, reliable, respectful, supportive, and organised. Hours are flexible and can be built up around your own commitments. LinkMeUp made something that is very complicated, easy to understand and filled me with confidence. LinkMeUp is a project from Vibrance; established since 1989 we exist to support vulnerable people to lead their lives as they wish and to challenge barriers that prevent individual choice and fulfilment. For more information on Vibrance please visit our site. Registered Charity number – 1152186. A company registered limited by guarantee. Registered in England and Wales, number 8466095. Registered Office: Unit 2 Caxton Place, Roden Street, Ilford, Essex, IG1 2AH.